BIT Magazine : High-Tech Organic + Biotech? August 19, 2014 The move toward organic is driven by obvious consumer demands. People want to eat healthy, safe, clean food. Delivering that food is a growing number of local producers developing a model of organic agriculture that decentralizes the "factory farm" and gives it a more human touch. The result is slightly more expensive, natural looking, and otherwise superior produce many people are willing to pay extra for. But what if there was a way to localize agriculture, include cutting edge technology, and produce a variety of organic, natural produce to connect with consumers on both a social and economic level? While many of the local organic agricultural initiatives featured these days portray more traditional, natural methods of farming, there is a growing number of farmers utilizing technology to increase the efficiency of their organic projects. Everything from drones used to survey fields, to automated water, fertilizing, and even harvesting could be used just as well with local organic produce as with large, industrial farming operations. A drone flying over your fields, or a robot tilling your soil will not make the food you are growing any less organic. MIT's Technology Review featured an article titled, "Agricultural Drones," and discussed how this technology generally thought of as an invasion of our privacy and an extension of military power, is being used privately by farmers to give themselves better situational awareness of what is happening in their fields and more accurate information to use when making decisions regarding pest control, fertilizing, and irrigation. 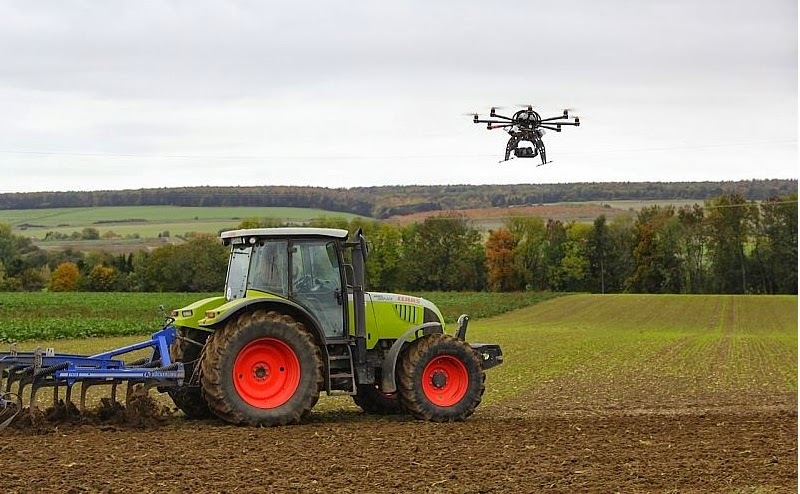 Not only does drone technology enhance efficiency for farmers, but farmers using drone technology sets a positive trend toward the democratization of drone technology. Automation is another high tech solution many might not think about when they think of "organic." Something as simple as an Arduino microcontroller set to control an aquaponics system, doing everything from monitoring to controlling water pumps, then notifying you via Twitter when water levels are low, or soil pH is high, allows aspiring organic farmers to use their time more efficiently and to do more individually than they might be able to do using more traditional methods. Increased efficiency means better value for both farmers and consumers. At the end of the day, as long as the soil, fertilizers, pest control, and produce are all organic, the methods used to plant, monitor, maintain, harvest, and distribute it leave room for technology to lend a helping hand. 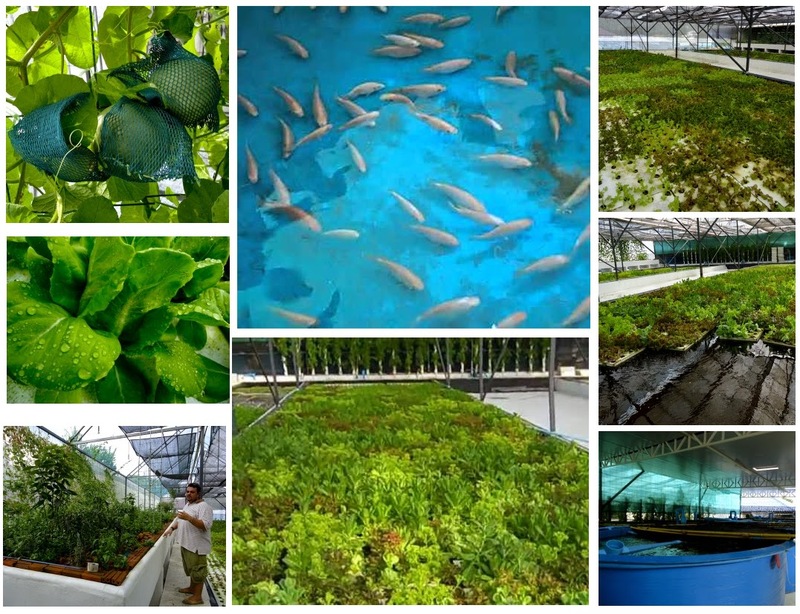 An immense aquaponic system in southern Thailand grew organic fruits and vegetables using natural fertilizer derived from tilapia fish and fresh water prawns included in the closed irrigation system. Pest control was accomplished by enclosing the system in a greenhouse and using organic pesticides made from cinnamon and other herbs. From the videos in Green Evolutions' playlist, it is clear that a significant amount of organic agriculture can be done using technology in ways that might not be possible using traditional methods. Similarly biotech and synbio (synthetic biology) warrant legitimate concerns by many and is one of the factors driving the move toward organic agriculture in the first place. However, it can in fact be used in organic agriculture, provided that the technology is not used to alter fruits, vegetables, or livestock. Biotech and synbio can be used for many other purposes besides altering crops, such as producing biofuels (in bioreactors) for equipment and generators, materials for construction and fabricating equipment, and even testing kits to ensure genetically modified organisms are not infesting your fields of organic produce. Biotech is not inherently bad. It is, like all technology, a matter of how it is being used. Kits that utilize the principles and techniques used by molecular biologists could give consumers added confidence that organic produce does not contain antibiotics, genetically modified organisms, or chemicals that have raised concern among consumers. 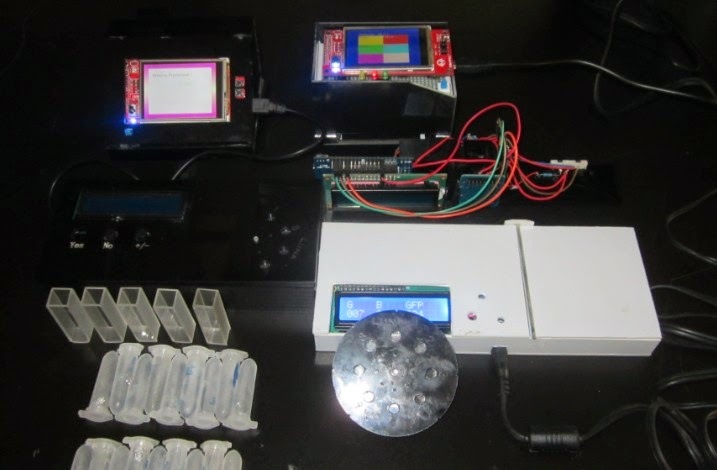 MIT's iGEM competition is an annual event that features university, high school, institutional, and now even DIYbio lab teams altering bacteria to carry out a wide range of tasks. Some of these are artistic, such as bioluminescent bacteria produced by Cambridge's 2010 iGEM team. Others are of more practical use, such as the Beijing Institute of Technology's 2013 project which altered bacteria to detect antibiotics in consumer products. The ability to take a small "biochip" and test milk for antibiotics is something that would appeal to many in the organic food movement, but an ability borne out of biotechnology many in the organic movement might fear. Clearly, biotechnology has the power to improve human health and the state of our agricultural industry as much as it has to harm it. Ultimately, while there are many good reasons to fear the abuse of any kind of technology, there is no reason to fear technology itself. If understood and utilized responsibly, it can afford people with a means of not only improving their lives for the better, but guarding against abuses by ensuring more people with good intentions control it than those that mean others harm. Biotechnology and increasing tools for automation will not be "un-invented," but if we recoil in fear instead of embracing these emerging fields, we will give up our ability to choose how it is used today and in the future. For those who already embrace biotech, understanding the potential abuse of technology and people's legitimate fears of this abuse is part of promoting responsible and progressive uses of it. To simply embrace anything with the label "genetically engineered" or "synthetic biology" can lead to blind-spots that will do more harm than good to the potential this technology has to offer.